Definition at line 80 of file TokenAnalyzer.h. Definition at line 51 of file TokenAnalyzer.cpp. 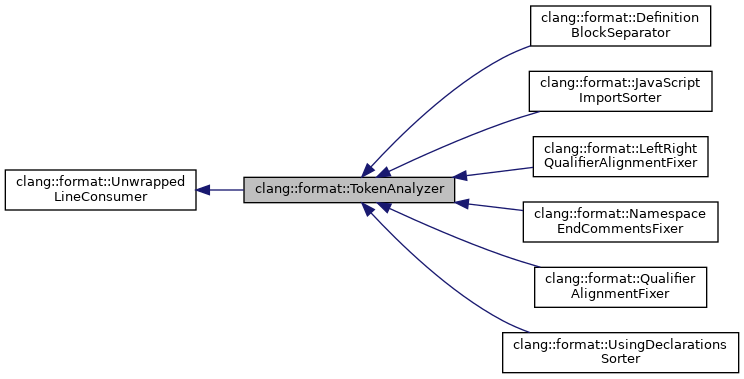 References Encoding, clang::format::encoding::Encoding_UTF8, and clang::format::getLanguageName(). Definition at line 114 of file TokenAnalyzer.cpp. Definition at line 119 of file TokenAnalyzer.cpp. Definition at line 65 of file TokenAnalyzer.cpp. Definition at line 100 of file TokenAnalyzer.h. Definition at line 102 of file TokenAnalyzer.h. Definition at line 98 of file TokenAnalyzer.h. Definition at line 96 of file TokenAnalyzer.h. Definition at line 101 of file TokenAnalyzer.h. 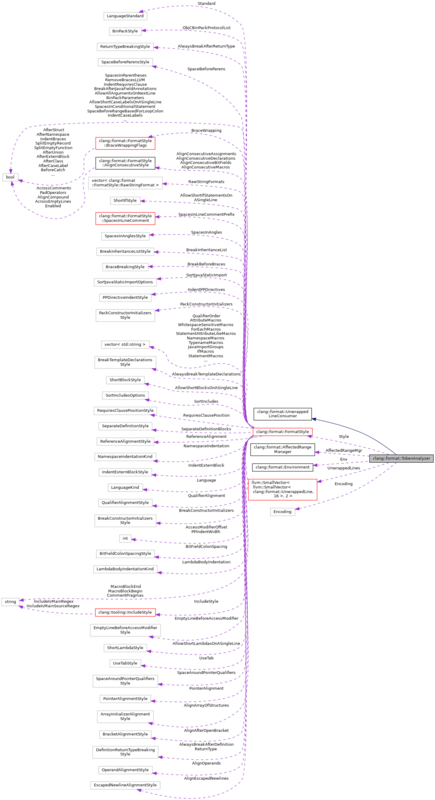 Referenced by consumeUnwrappedLine(), and finishRun().